Silvia Sommerlath met Carl Gustaf, still Crown Prince of Sweden, in 1972. By the time they married, on June 19th 1976 at Stockholm Cathedral, he was King of Sweden and as she said 'I do' Silvia became a queen consort. They went on to have three children and as they get ready to celebrate a big anniversary this year they have five grandchildren to help mark the event. Their 40th anniversary as man and wife will also mark four decades for Silvia as Queen of Sweden. Thirty four years to the day since her parents had married, Crown Princess Victoria of Sweden wed Daniel Westling in a royal celebration thought to be the biggest since Prince Charles married Lady Diana Spencer in 1981. 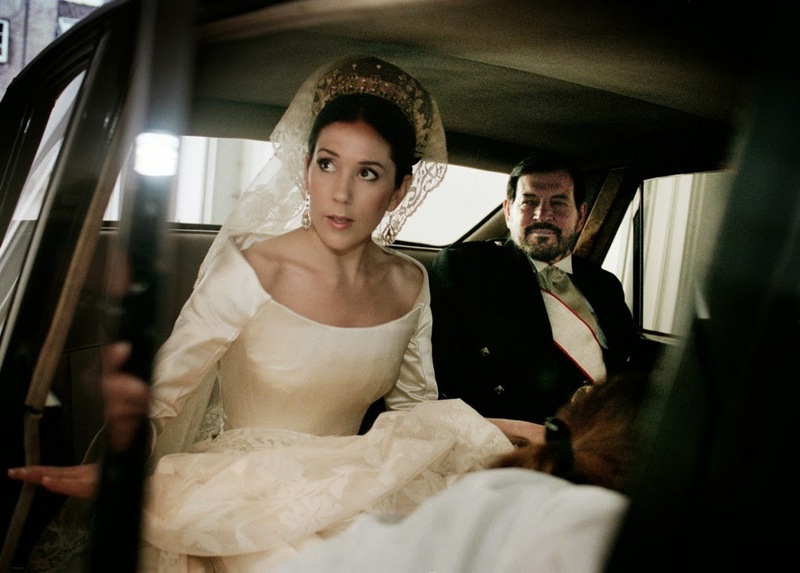 The bride wore the same tiara as her mum had used on her wedding day and the couple took their vows in Stockholm Cathedral. Victoria and Daniel celebrate their sixth wedding anniversary this year with two children to join the party - four year old Princess Estelle and three month old Prince Oscar. Princess Madeleine Therese Amelie Josephine of Sweden married Christopher O'Neill on June 8th 2013 Victoria's sister, Madeleine, became another June bride when she wed Chris O'Neill at the Royal Palace Chapel in 2013, two days before her 31st birthday. The couple had met in New York. Madeleine wore a dress by Valentino while her husband turned down a royal title so he could continue working. The couple has two children, two year old Princess Leonore and Prince Nicolas who will turn one just after his parents' third wedding annivesary. Sofia Kristina Hellqvist married Prince Carl Philip of Sweden on June 13th 2015 Sofia Hellqvist became a princess in June 2015 when she walked down the aisle of the Royal Chapel in the Royal Palace in Stockholm to marry her handsome prince. Carl Philip and Sofia had announced their engagement a year before and married before European royalty in a very modern ceremony that proved hugely popular. Their first child, Prince Alexander, was born on April 19th 2016 and they will welcome a second baby this September. Princess Desiree Elisabeth Sybilla of Sweden married Baron Nils-August Silfvershiold on June 5th 1964 June 1964 was a busy time for weddings as two of the Haga princesses became brides in that month. The first to walk down the aisle was the third of the four daughters of Prince Gustaf Adolf and Princess Sybilla of Sweden. Desiree, sister of King Carl XVI Gustaf, married Baron Nils-August Silfverschiold on June 5th 1964 at Stockholm Cathedral and lost her HRH as a result - her husband was not of royal birth. Known since then as Princess Desiree, Baroness Silfvershchiold, she is still a regular at big royal events. Her husband passed away earlier this year. They had three children and four grandchildren. Desiree's big sister became a bride just weeks later when she married John Ambler at Gardslosa Church on Oland on June 30th 1964. 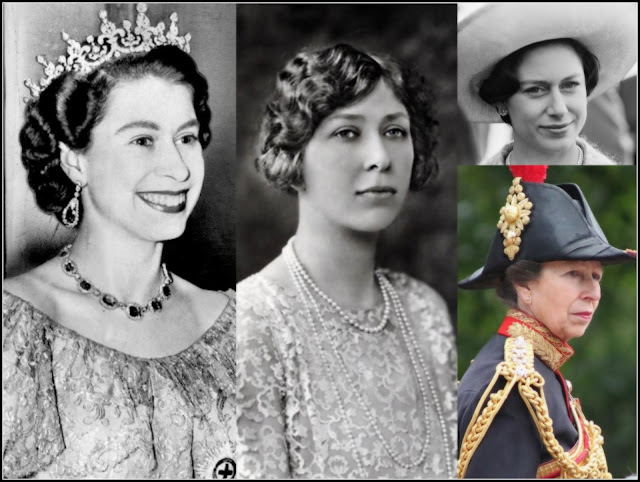 Like her sister before her, she lost her HRH as a result of marrying a non royal. She lived in England with her husband and the couple had three children before separating in the 1990s. They never divorced and he died in 2008. Princess Margaretha still attends many big royal functions in Sweden. Sweden had to wait ten years for another big royal wedding but in 1974, the youngest of the Haga princesses became a June bride. Christina of Sweden married Tord Magnuson on June 15th 1974 at Stockhom Cathedral. Like her sisters before her, she lost her HRH and has since been known as Princess Christina. She and her husband have three sons and five grandchildren. Her wedding took place 69 years after the marriage of her grandparents. Princess Margaret of Connaught married Prince Gustaf Adolf of Sweden on June 15th 1905 This true royal love match saw Margaret of Connaught become a June royal bride as the 20th century was just getting under way. Margaret, along with her sister Patricia, had been considered one of the most eligible princesses in Europe. When she was introduced to Gustaf Adolf of Sweden, then second in line to his country's throne it was love at first sight and the couple married at St George's Chapel, Windsor on June 15th 1905. Margaret became Crown Princess of Sweden in 1907 on the accession of her father in law as King Gustaf V but she never became queen. Margaret died suddenly, from complications of an infection. on May 1st 1920 when she was eight months pregnant with her sixth child. Her grandson, Carl XVI Gustaf, became King of Sweden in September 1973.